Rest Day 9/12/13: Mobilize and then go for a walk! Along a River if possible. Mobilize and then go for a walk! Get outside and enjoy a walk around a lake or along a river if possible. Check out what’s in store for the Renegade Rowing Team this weekend! 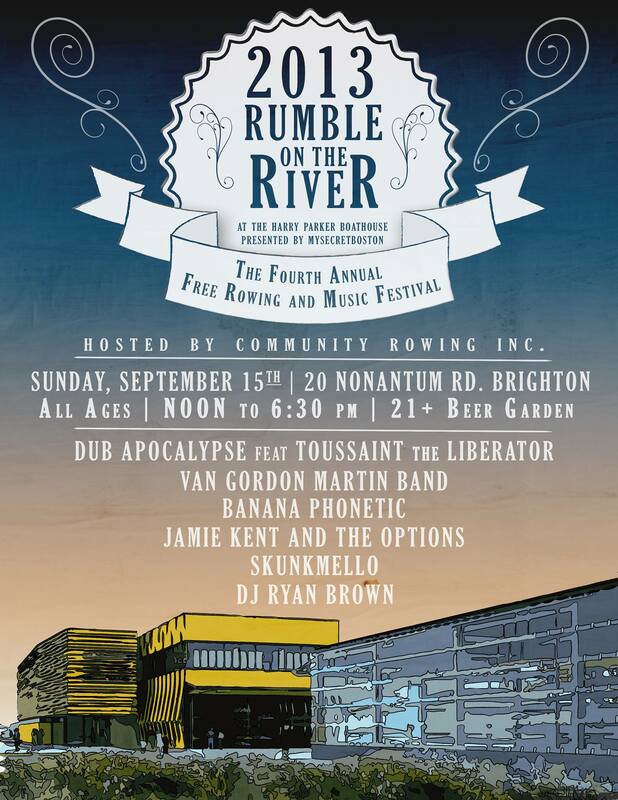 Community Rowing Inc. (CRI) is set to host the fourth annual Rumble on the River, a free outdoor music and rowing festival scheduled for Sunday, September 15 from noon to 6:30 p.m. at the Harry Parker Boathouse, 20 Nonantum Rd. in Brighton. The Renegade Rowing Team will be racing and there are many other activities to check out including live music and a VIP Beer Garden. Register for access to the Beer Garden here … Rumble on the River VIP Beer Garden Experience! This entry was posted in Motivation, Our Mission, Rowing and tagged balance life, endurance sports, exercise, functional movements, healthy-living, inspiration, outdoors, rowing, sports, water by Renegade Rowing. Bookmark the permalink.